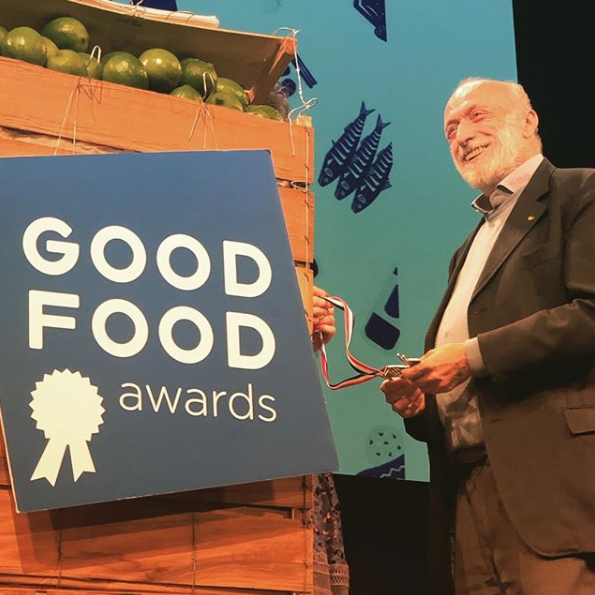 The Good Food Awards took place on Friday, January 11th, 2019 at the Herbst Theatre in San Francisco. It was a celebration in truly good food – the kind that brings people together and builds strong, healthy communities. Speakers included Carlo Petrini (translated from Italian by Patrick Martins), Jessica B. Harris, Sarah Weiner, and more. Listen in to hear the winners for beer, charcuterie, cheese, chocolate, cider, coffee, confections, elixirs, fix, honey, oils, pantry, pickles, preserves, snacks, and spirits.